Blackdown Storage, located near Taunton, Somerset, offers secure self storage facilities from £50 per calendar month, for both personal and business needs with free unlimited access*. We live on site and provide a secure, personal service, tailored to meet your requirements. Our secure self storage units are clean, dry and situated at ground level allowing you to drive straight up to your unit and load or unload your items. It couldn’t be easier! Our storage unit sizes range from 36 sq ft to 160 sq ft and are priced with a simple pricing structure with no hidden or additional costs. Discounts are also available for long term use. *Access outside of regular hours (7am to 5pm Monday to Friday and 9am to 5pm weekends) to be arranged in advance. 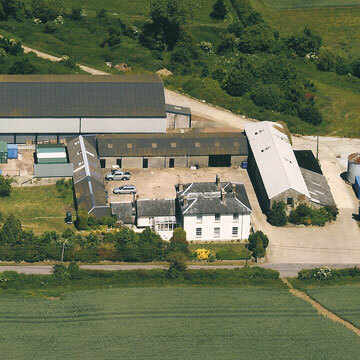 Mark and Julie Pope welcome you to Staple Farm, Taunton, our home and the location of Blackdown Storage. We have been providing secure self storage facilities to both personal and business customers since 2004 and pride ourselves on our friendly, high quality service. Living on-site allows us to provide our customers with round the clock security, access and contact. Located in Somerset between Taunton and Ilminster, just off the Blackdown Hills, Blackdown Storage is not only situated in a beautiful location, it also has great access to the M5, the A30 and A303; so whether you are coming from Bridgwater, Yeovil or Exeter, we are easily accessible. Feel free to contact us to secure your storage unit, or find out more about our self storage facilities. Had store for a year now. It’s a great location with plenty of space and good access. A great benefit here is to be able to drive inside the building where my storage facility is and park immediately outside – especially useful in bad weather. Mark and Julie are always helpful and efficient and stores are nice and secure. 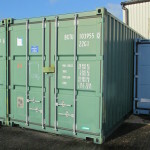 We have been storing with Blackdown Storage since it first started many years ago. Mark and Julie couldn’t be more friendly and flexible. We are a sound and lighting company so 24/7 access to the unit is paramount and has never been an issue. Access is easy, the space we have to load and unload is fantastic and there is plenty of room to test our equipment. Nothing is too much trouble. It is great to support a friendly, local family business. I’ve stored with Blackdown Storage for about 10 years. Mark and Julie are friendly, helpful and always available. It’s a great location and affordable. 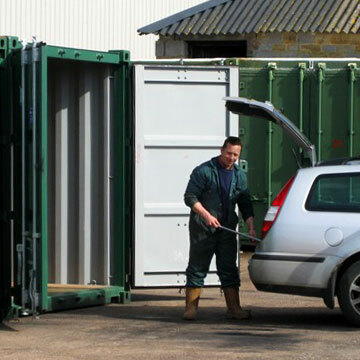 Blackdown Storage is a very convenient and competitively priced facility that has provided easy access during the entire period of use. The owners are very pleasant and helpful and I will not hesistate to recommend this facility to others. Thank you for being so accommodating!